Due to large engine platforms and the remoteness of certain locations being serviced by field technicians, the average repair cost for a single incident cost the client tens of thousands of dollars. The failing gasket featured a perimeter sealing design that often tore away from the substructure of the gasket during normal operation of the power generator. CGR worked with the OEM engineering team to determine that an alternate material and design would negate the need for the perimeter design. By utilizing a newer-to-the-market laminate design — a metal core with a rubber compound bonded to the top and bottom — CGR was able to add embossing features to enhance critical sealing areas of the gasket. Through Fuji analysis testing as well as laboratory-run testing, CGR fine-tuned the design and embossing features to create an enhanced sealing window around all critical sealing areas. CGR and the OEM engineers were able to create a more robust design and easier-to-manufacture part with a proven and test-verified enhanced sealing window. 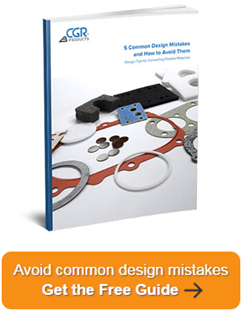 This design and material selection also offered the OEM a cost reduction over the previous gasket design. Facing a similar challenge on your team? Contact CGR today to discuss potential solutions with our team! Watch Mark Hempel deliver a live presentation of this project’s details at our Open House.